We all are keen to know what next is going to happen in our life and for that we try to find out the person who can act as a mirror in our life. 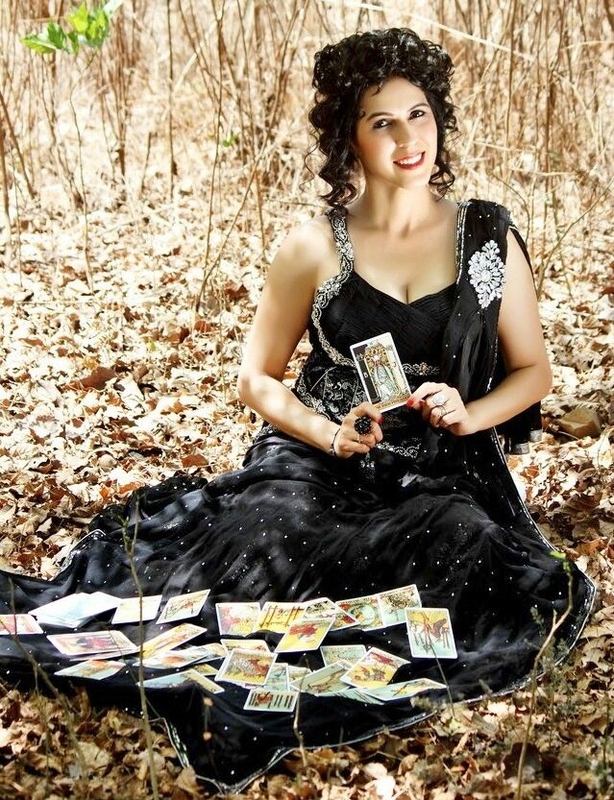 This time i thought to present one such person to my readers who is one of the well known fortune teller from India –Jyoti Jhangiani-Tarot Master & Numerologist. Join me in knowing her closely. 1) First of all my readers will love to know Jyoti Jhangiani as a human being. So Jyoti tell something about you and your background? Hi I am Jyoti Jhangiani, Commerce Post graduate from Mumbai University, Certificate holder in Home science and in Montessorie and am pleased to introduce myself as a WMA-USA certified Tarot Master Instructor, Professional Tarot Master Consultant and Numerologist and I practise in chembur, central part of mumbai. I have been also tagged as a celebrity tarot card reader and numerologist with the considerable size of my Clientele that ranges from Media personalities to Politicians to Businessmen to Students to Housewives. I do readings in person, on phone and via email. “God chooses a few spiritual souls and entrusts upon them the responsibility of guiding people on earth, through their lives. I feel I am one of his chosen few, who has been blessed with psychic powers to help people in need, wade through the under-currents of their lives”. 2) There are various modes and forms of prediction of future life, you selected Tarot reading. Why it is Tarot and not vedic astrology? Well both studies are equally important and initially I have started with Tarot card reading and Numerology but now am also getting trained in astrology so that in future I can offer assistance to my clients in the way they want or even with the mix and match of Tarot and astrology. 3) What as per you is the major difference between Tarot reading and astrology? The major difference is that in vedic astrology, complete birth details of a person is required for prediction i.e complete name of a person, date of birth, place of birth and time of birth wherein tarot, name of a person is more than enough. 4) How it feels when you get to know about the future of the person next to you? I feel blessed coz by knowing someone’s future you can guide or try to help out that person accordingly through your psychic powers. 5) who acted as an inspiration for you to Join Tarot? My inner voice had inspired me to join tarot. 6) Where from you got trained in tarot reading? I did basic and advanced course from Mumbai and after that I opted for Masters degree from World Metaphysical Association (wma) – USA certification Board. 7) when you start reading Tarot cards? I have been reading cards for the past 5 years. 8) Is there any sort of remedies offered to people in Tarot like the way it is offered in Vedic astrology? In tarot we suggest prayers and meditation. 9) You are also an expert in Numerology. so you make application of both numerology and Tarot while giving prediction? Usually I dont mix both but sometimes on a request of a client I do so. 10) You offer lessons to people on Tarot and Numerology, so how you conduct the classes? As Tarot & Numerology both are different subjects, I conduct both classes separately. 11) What are the awards and recognition you received so far? 2009: Live telecast on IBN7 Channel (news bulletin) numerology predictions for elections. 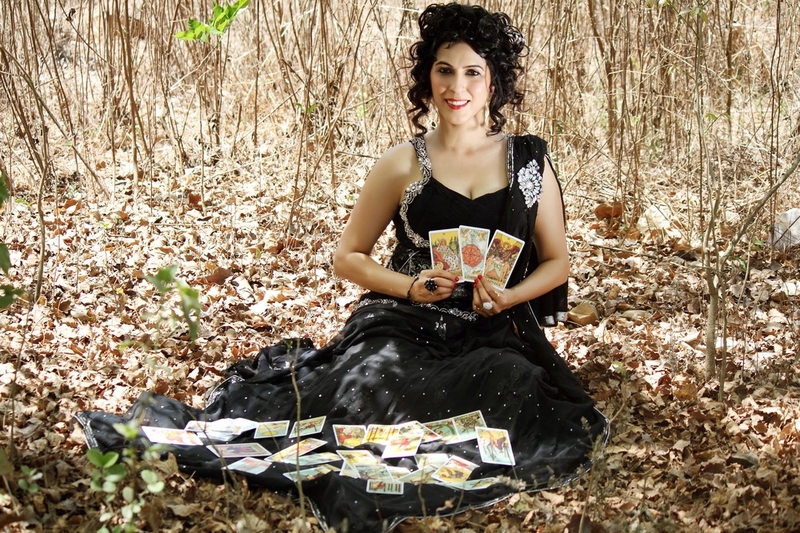 2012: Did Live Show ‘ASTROTALK’ as a tarot card reader & numerologist. The show was of 3 hours for 3 months on MyTv channel, anchored by actress Sudha Chandran ji. 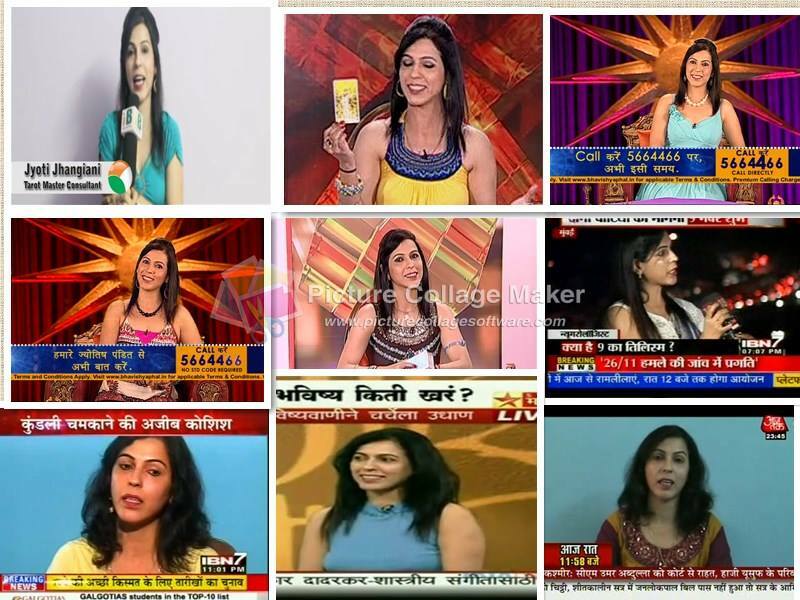 2012: Did individual Live Show “Bhavishya Phal Sitaron Se Hal’ as a tarot card reader & numerologist. The show was of 2 hours for 3 months on Mytv channel. 2013: Awarded with a trophy of ‘Tarot Reading & Teaching Par Excellence’ by International Spiritual & Hindu Mythology Awareness (Ishma) Awards 2013 on 18th May, Mumbai . Interviewed by India Bureau for Ishma awards which was aired on Care world Tv. 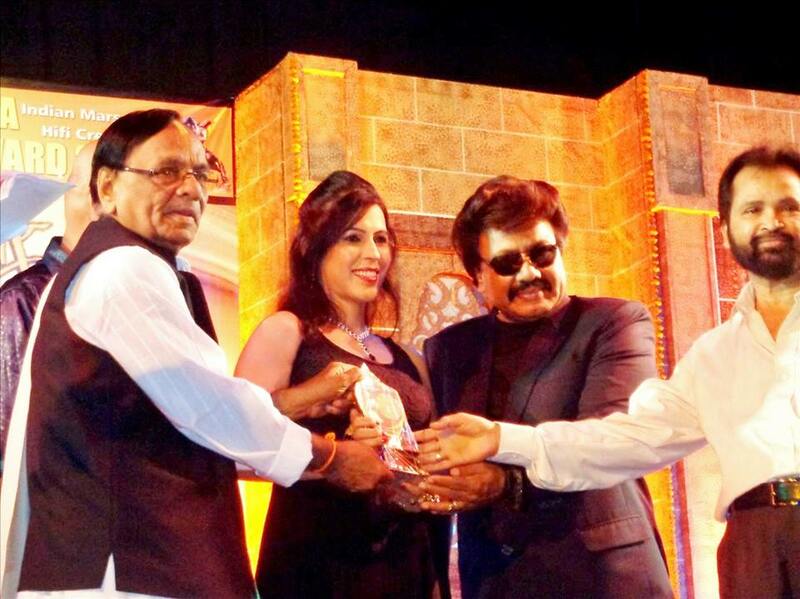 2013: Honoured with a prestigious trophy of Shivraj Mudra Chatrapati Awards 2013 for contribution in the field of astrology on 18th June, Mumbai. 12) what are you plans 5 years down the line? Well I don’t plan anything in advance but yes I would love to continue with my profession in future. 13) Will you encourage young generation to pursue career as a Tarot reader? 14) What as per you are the qualities to be a Tarot reader? First of all there should be Desire in a person to become a tarot card reader and then there has to be trust, believe, love and respect for tarot cards..
Jyoti Jhangiani you are gr8 ,superb & beautiful not only by looks but also at heart. You are kind, caring & a wonderful guide.Just keep it up…God Bless !! awesome…!! !…keep up the nice wrk..!! Great achievements , all the very best for your future plans. Congratulations Jyotiji. And all the best in this noble endeavor of spreading wellness and showing path to people. I count my blessings for having got opportunity to meet you and get words of wisdom and right path. Great interview. Jyoti is very talented and professional in her work. I know jyoti from 2009 since then i have done many readings by here which are very acurate . Jyoti is a very talented , focused , powerful , hard working women and she is very straight forward and values her work not like other astrologers who just keep the ball rolling just for money . Well i wish her all the best for her future to get more stronger day by day and get famous and achieve more each day . Best of luck ………..
Way to go Jyoti! Another feather in your cap god bless you keep up with awesome work love u always.